There's no better way to end the year and recover from an epic French Laundry dinner than to wander through wineries in Napa and Sonoma. We awoke late the next morning, almost fully recovered from our food coma, and were greeted to a gorgeous, crisp and sunshine-filled day. There was no way we were going to start wine tasting until we had some coffee and carbs in our belly. We hit up Basque Cafe & Boulangerie in the adorable town center of Sonoma and filled up on European style espresso and an assortment of fresh brioche, danish and rolls. 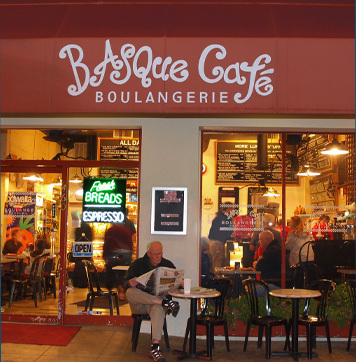 Sit out on the patio with the locals and take in the pleasant view of the park across the street. 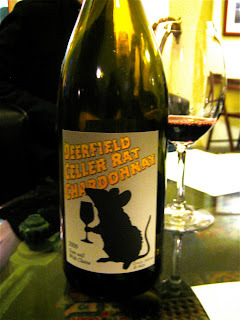 We then headed out to Deerfield Ranch Winery in Sonoma. 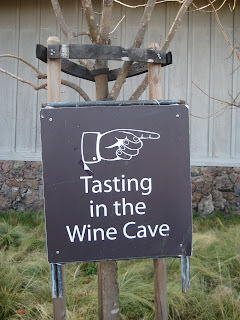 Not only are they known for their delicious wines, but you can do the tastings in their wine cave! 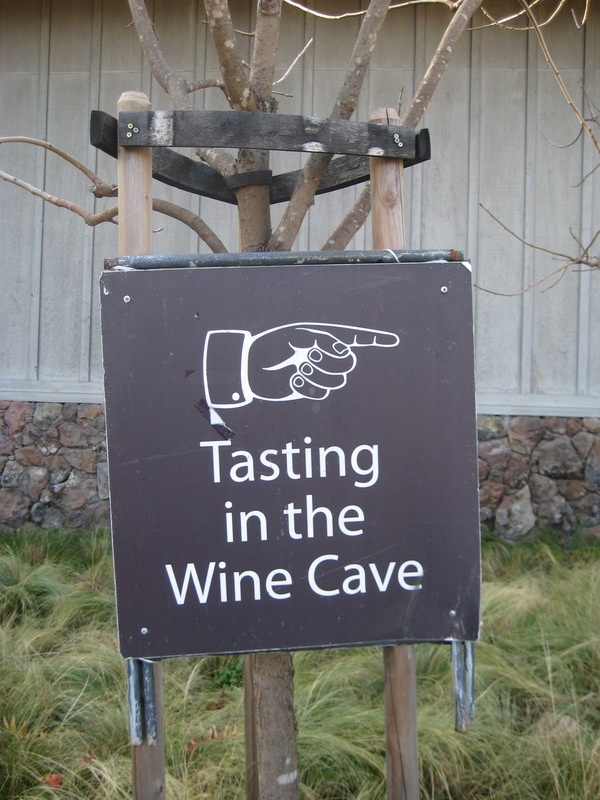 Be sure to wear a coat or sweater if you happen to visit the cave in the winter months. That wine needs to be kept cool and you don't want to freeze while you taste your wine. You'll walk past tons of barrels through a long hallway and emerge into a central room with a vaulted ceiling and plenty of leather chairs and coffee and dining tables to gather around. We did a flight of 5 wines, one of which was the Cellar Rat Chardonnay, an ode to the workers in the cellar. Next, we were off to Provenance Vineyards in St. Helena. We took a long twisting route through canyons, past small farm houses and finally emerged on the other side of a hill to the open grape vineyards. The tasting room is housed in a large red building that's reminiscent of a barn. One of the wines on our tasting menu happened to be a Sauvignon Blanc that's going to be the wedding wine for 2 of the people I was with (and it was delicious!). Our last wine tasting for the day was at Duckhorn Vineyards, which was also in St. Helena. It was the late afternoon and the light just looked stunning along the fields. The tasting room is housed in this beautiful Craftsman-style home. Can I please live here? Folks were sitting outside on the wrap-around patio in the crisp air, sipping their wine. There's also plenty of space to do tastings inside their main room, which boasts a soaring ceiling and windows on every side. Be sure to check out the wall of duck cartoons by the bathrooms. My friend's dad happened to be a VIP wine club member at Duckhorn, so we were ushered to a private tasting room in another building out back. They had tons of delicious cheese, crackers and dried fruit for us to munch on while they poured us a special selection of their top wines. Again, I must live here. Afterwards, we realized the cheese had kickstarted a bit of an appetite and since we were going to be doing snacks and champagne for New Year's Eve, we needed a quick meal. Heading out of St. Helena, there's a renowned burger and hotdog spot called Gott's Roadside that I'd been wanting to try. During the lunch hour, the lines are crazy long, but we hit this place at just the right time. Our last stop was the local Dean & Deluca for some goose liver pate, more cheese and crackers and other snacks. 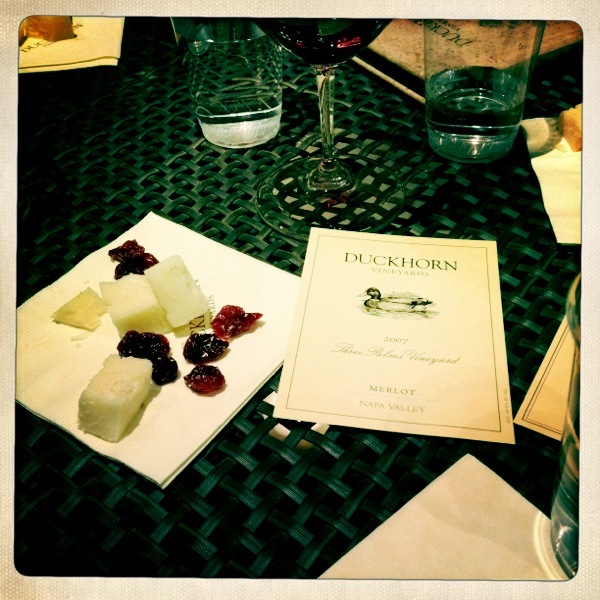 We had already sprung for the duck foie gras last night, so none today. Too bad I spent all my money last night or else I would have bought some white truffle...or not. $4800 a pound, mom. Now that's luxurious. We almost thought about buying some Sir Francis Bacon chocolate, but decided against it because we had so much chocolate and sweets still back at the hotel.